If you’ve been following me for a while, you’ll notice I don’t put a ton of lifting programs up on my site. That will probably change in the near future but for now there are many reasons that I don’t. 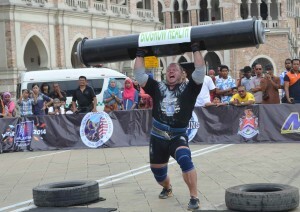 The overarching reason is because I pride myself on educating lifters so they can think for themselves, not just follow a program blindly. 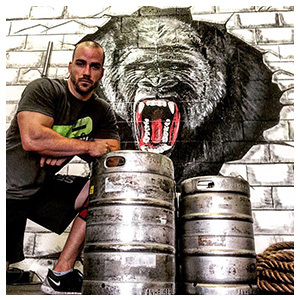 The fitness community is inundated with thousands of lifting programs that people can follow, but ask the average user to develop their own program and describe the inner workings of their training and they likely can’t. I’d much rather teach you how to do your own programming so you can sustain yourself over a lifetime, rather than trying to find the next greatest thing after the end of an 8-week cycle. So in designing your own lifting program, what are the major factors that you need to develop it around? Far too often when I talk to someone about lifting, they don’t have a clear definition of what their end game is. When embarking in lifting programs, you need to train to both your short-term and long-term goals. Do you want to add on mass? Or do you want to gain total body strength? Maybe your goal is lift specific and you want to add 25 pounds to your bench press? You need to have your end game in mind. If you want to add mass, doing programs meant for powerlifters may not add a lot of hypertrophy, and inversely, if you want to get stronger, high-volume bodybuilding style programs probably won’t get you there. All of your training must be done with intention. To induce a training effect you have to stimulate your body with enough volume under heavy enough loads. Training to your goals will take care of a lot of this dynamic. Strength seekers will favor less volume with more intensity and the mass seeker will probably favor more volume with lighter intensities. Knowing the relationship between volume and intensity is paramount and may take some manipulating to make the gains you are looking for. Throughout the course of your training life, you will come across periods where your body needs more volume to induce growth, whereas other times you may need to add weight to the bar to boost your gains. Unfortunately there is no magic recipe for this. 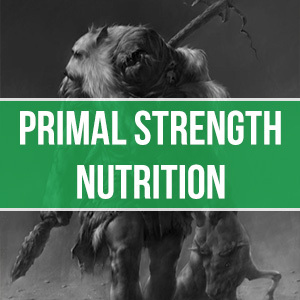 This comes down to your knowledge as a lifter, understanding what your body is telling you, and your ability to manipulate your programming to what your body needs. What Rep Range Should You Use to Gain Mass? This is how often you train, and more specifically, how often you are stimulating your various muscle groups. Depending on how you break-down your training sessions, your training frequency may vary but typically you should be training at least 3 or 4 days a week. Your training frequency will also be dictated by the volume-intensity relationship as higher-volume or intensity sessions may require more time in between training sessions. 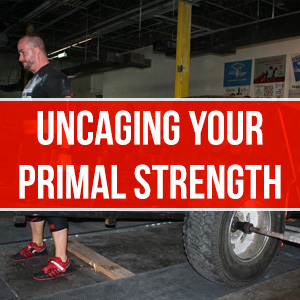 Rule of thumb for Primal lifters is that you allow for 48 hours rest in between muscle groups. This is a big one for me. I’m a firm believer in recruiting more muscle to build more muscle, so I favor a lot of compound lifts. However, you must be careful when using a lot of compound movements and ensure that you are getting proper recovery and not over-training your nervous system. This is not to say isolation movements don’t have their merits, but you just have to know when and how to use them. 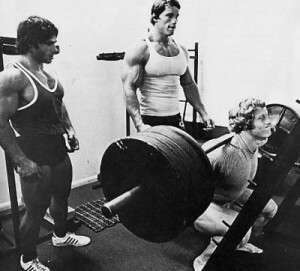 These are the only things you need to think about when designing a lifting program. Any time I write a program for Primal, I am building it around these components. So as you progress in your lifting career, these are the things you need to think of in order to give yourself the proper programming to make both short and long-term gains. As a parting thought, I want to finish by saying that there is no such thing as a perfect program. It just doesn’t exist.